Monday, Sept. 14, 11:30 a.m. CDT, Clear Lake – Gov. Dennis Daugaard will speak at the groudbreaking ceremony for the Xcel Energy and Ottertail Power Company. The event will be held at a construction laydown yard about 3 miles east of Clear Lake, S.D. Monday, Sept. 14, 2 p.m. – 2:30 p.m. CDT, Pierre – Gov. Dennis Daugaard will be a guest on KGFX’s South Dakota Perspective with Jeri Thomas and Mark Swartzell. Tuesday, Sept. 15, 1 p.m. – 2 p.m. CDT, Pierre – Gov. Dennis Daugaard will attend the Saskatchewan Airtanker event at the Pierre Regional Airport. Saturday, Sept. 12, 10:30 a.m. CDT, Chamberlain – Lt. Gov. Matt Michels will speak at the South Dakota Hall of Fame Honors Brunch at Cedar Shores in Chamberlain. Saturday, Sept. 12, 7:30 p.m. CDT, Tabor – Lt. Gov. Matt Michels will speak at the 2015 Section C-1A Conclave Oder of the Arrow Boy Scouts of America event at the Lewis and Clark Scout Camp in Tabor. Wednesday, Sept. 16, 6:30 p.m. CDT, Mitchell – Lt. Gov. Matt Michels will serve as the keynote speaker for the South Dakota Emergency Management Association (SDEMA) Annual Conference at the Ramada Inn. Thursday, Sept. 17, at 5:30 p.m. CDT, Watertown – Lt. Gov. Matt Michels will serve as the keynote speaker for the Watertown Veterans’ and First Responders’ Appreciation Day at War Memorial at Stokes-Thomas Park in Watertown. Saturday, Sept. 12, 7 a.m., CDT, Chamberlain – The South Dakota Board of Chiropractic Examiners will meet in the Deer Trail room at the AmericInn. See http://boardsandcommissions.sd.gov/ or contact Marcia Walter at 605-668-9017 or sdbce@iw.net for more information. Monday, Sept. 14, 6 p.m. CDT, Ft. Sisseton Historic State Park, Lake City – The Governor’s Commission on Ft. Sisseton will meet. For more information, go to http://boardsandcommissions.sd.gov/Template.aspx?id=42. Monday, Sept. 14, 9 a.m. CDT, Pierre – The Health and Educational Facilities Authority will meet on Monday at 330 S. Poplar, Suite 102, in Pierre. For more information, go to http://boardsandcommissions.sd.gov/Template.aspx?id=48. Tuesday, Sept. 15, 2 p.m. MDT, Spearfish, Holiday Inn – The Board of Operator Certification will meet. An agenda can be found by visiting http://denr.sd.gov/boards/2015/boc0915.pdf. For more information, contact Rob Kittay, DENR, at 605-773-4208. Tuesday, Sept. 15, 9:30 a.m. CDT – The Economic Development Board meeting will be held at 711 E. Wells Ave at 9:30 a.m. CDT. Contact Cassie Stoeser at 605-773-3301 for more information. Tuesday, Sept. 15, 5 p.m. CDT, Mitchell, Ramada Mitchell Hotel and Conference Center, 1525 West Havens Ave. – The South Dakota State Emergency Response Commission (SERC), which works closely with local emergency planners, will meet. For a complete agenda, visit http://boardsandcommissions.sd.gov/Template.aspx?id=36. For more information, contact Trish Kindt, DENR, at 605-773-3296. 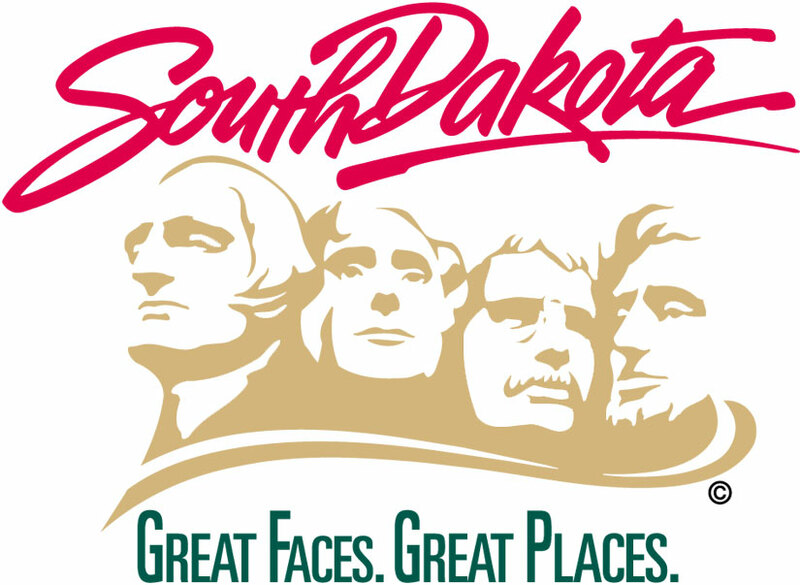 Tuesday, Sept. 15, 1 – 3 p.m. CDT – The South Dakota Board of Nursing Facility Administrators will meet via teleconference. See http://boardsandcommissions.sd.gov/ or contact Brittany Novotny at 605-224-1721 or SDNFA@midwestsolutionssd.com for more information. Tuesday, Sept. 15, 1 p.m. MDT, Custer – The SD Weed and Pest Control Commission will be holding a meeting in the Creekside Coolidge Room at the State Game Lodge located at 13389 US HWY16A. A full agenda can be found at http://boardsandcommissions.sd.gov/Template.aspx?id=109. For more information, please contact the Department of Agriculture at 605-773-3724. Wednesday, Sept. 16, 11 a.m. CDT, Pierre – The South Dakota State Railroad Board will meet in Pierre in the Becker-Hansen Building on Wednesday. For more information, go to http://boardsandcommissions.sd.gov/Template.aspx?id=88. Wednesday, Sept. 16, 10:30 a.m. CDT, Pierre – The South Dakota Brand Board will be holding their monthly meeting at the Brand Board building. A full agenda can be found at http://boardsandcommissions.sd.gov/Template.aspx?id=13. For more information, please contact the Brand Board at 605-773-3324. Thursday, Sept. 17, 8:15 a.m. CDT, Pierre – The South Dakota State Conservation Commission will be holding a meeting at the AGC Conference Room located at 300 E. Capitol Ave. A full agenda can be found at http://boardsandcommissions.sd.gov/Template.aspx?id=19. For more information, please contact the Department of Agriculture at 605-773-3623. Thursday, Sept. 17, 4:15 p.m. CDT – The South Dakota Professional Administrators Practices and Standards Commission will meet via teleconference. A proposed agenda that includes a call-in number and access code is posted at http://boardsandcommissions.sd.gov/Template.aspx?id=80. Thursday, Sept. 17, 9 a.m. MDT, Sanford Underground Research Facility, Admin Building – The Science and Technology Authority will meet. For more information, go to http://boardsandcommissions.sd.gov/Template.aspx?id=89. Thursday, Sept. 17, 8:15 a.m. CDT, Pierre – The Conservation Commission will meet. For more information, go to http://boardsandcommissions.sd.gov/Template.aspx?id=19. Thursday, Sept. 17, 9:30 a.m. CDT, Pierre – The Transportation Commission will meet on Thursday in room 700 of the Becker-Hansen Building. For more information, go to http://boardsandcommissions.sd.gov/Template.aspx?id=96. Thursday, Sept. 17, 10 a.m. CDT, Pierre – The South Dakota Lottery Commission will meet in room 412 of the State Capitol building in Pierre, S.D. Items on the agenda include a declaratory ruling on lotto retailer incentives; FY17 budget request; various video lottery issues; and sales and marketing updates. View meeting materials at http://lottery.sd.gov/about/commission/ or http://boardsandcommissions.sd.gov/. For more information, contact the South Dakota Lottery at 605-773-5770. Thursday, Sept. 17, 1 p.m. MDT, Deadwood – The South Dakota Board of Pharmacy will meet at The Lodge, 100 Pine Crest Lane. The meeting is in conjunction with the South Dakota Pharmacists Association annual conference. See http://boardsandcommissions.sd.gov/ or contact Kari Shanard-Koenders at 605-362-2737 or randy.jones@state.sd.us for more information. Thursday, Sept. 17, 10 a.m. CDT – DENR’s Board of Minerals and Environment will meet by telephone conference call. Items on the agenda include release of liability and surety for a small scale mine permit for Dakota Block Company, a Division of Pete Lien & Sons, Inc.; and routine mining issues. A limited number of phone lines are available. Interested parties who wish to participate should call DENR at 605-773-3886 before 3 p.m. CDT on Wednesday, Sept. 16, or come to the DENR Lower Level Conference Room at 523 E. Capitol Ave., Pierre. For a complete agenda, visit http://boardsandcommissions.sd.gov/Template.aspx?id=67. For more information, contact Brenda Binegar, DENR, at 605-773-4216. Thursday, Sept. 17, 9:30 a.m. CDT – DENR is in the process of renewing its General Water Pollution Control Permit for Concentrated Animal Feeding Operations. To gain input before the formal permitting process starts, DENR will host a meeting through the South Dakota State University Extension Service’s digital network on Thursday, Sept. 17, 9:30 a.m. CDT. People may attend the digital meeting by going to Extension offices in Aberdeen, Mitchell, Pierre, Rapid City, Sioux Falls and Watertown. The public is invited to attend and DENR has sent notices of the meeting to all permitted producers and other interested parties. During the meeting, DENR staff will discuss changes being considered and a preliminary draft showing those changes can be found online at http://denr.sd.gov/des/fp/cafo.aspx. Comments on the preliminary draft are being solicited by DENR, but comments must be received by DENR’s Feedlot Permit Program in Pierre by Sept. 21 to be considered. DENR intends to use input received to develop a draft permit that will be used to start the formal permitting process beginning with a public notice announcing a 30-day public comment period and an opportunity for people to submit a petition to become a party in a contested case hearing. For more information, contact Kent Woodmansey, engineering manager III of DENR’s Feedlot Permit Program, at 605-773-3351. Thursday, Sept. 17, 8 a.m. CDT, Sioux Falls – The Pardons and Parole Board will meet on Thursday in Sioux Falls at the penitentiary. For more information, go to http://boardsandcommissions.sd.gov/Template.aspx?id=74. Thursday, Sept. 17, 10 a.m. CDT, Pierre – The S.D. Applied Behavior Analysis (ABA) Provider Workgroup will hold its second meeting at the RedRossa Italian Grill, Highlands Room, 808 W. Sioux Ave., in Pierre on Thursday, Sept.17, beginning at 10 a.m. CDT. The workgroup was established during the 2015 legislative session to study the certification and licensure of ABA therapy providers and will meet a total of three times before advising and making recommendations to the Governor and the Legislature by Dec. 1. Public comments about licensure and certification of ABA therapy providers will be heard. More information is available online. Friday, Sept. 18, 8:30 a.m. CDT, Pierre – The Board of Service to the Blind and Visually Impaired (SBVI) will hold its quarterly meeting at the RedRossa Italian Grill, Highlands Room, 808 W. Sioux Ave., in Pierre on Friday, Sept.18 beginning at 8:30 a.m. CDT. This meeting is open to the public. To view the agenda, visit the state boards and commissions portal at the SVBI location: http://boardsandcommissions.sd.gov/Template.aspx?id=12. For more information, contact Gaye Mattke at 605-773-4644. Friday, Sept. 18, 11 a.m. CDT, Pierre – The Athletic Commission will meet in the Kneip Building, Conference Room 3, 700 Governors Drive. Questions about the meeting may be directed to Jennifer Stalley, Executive Secretary, at 605-224-1721 or by email at SDAC@midwestsolutionssd.com. Monday, Sept. 14 – Benefits specialists from the Department of Social Services' Division of Economic Assistance will be available at the following itinerant office locations. For more information, contact Tia Kafka, 605-773-3165. Tuesday, Sept. 15, 9 a.m. – 12 p.m. MDT, Sturgis – The South Dakota Department of Labor and Regulation will hold itinerant office hours. Both jobs seekers and employers interested in receiving employment and career services at no cost may visit or call during these office hours. More information on programs and services is available at www.sdjobs.org. Itinerant office hours will be held at the following locations at 1401 Lazelle St, Meade Room or call 605-641-0965 during these office hours and 605-642-6900 at any other time. Additional information at www.sdjobs.org. Tuesday, Sept. 15, 10 a.m. – 2 p.m. MDT, Martin – The South Dakota Department of Agriculture will be collecting pesticide containers. For more information on these collections, please contact SDDA at 605-773-4432. Tuesday, Sept. 15 – Benefits specialists from the Department of Social Services' Division of Economic Assistance will be available at the following itinerant office locations. For more information, contact Tia Kafka, 605-773-3165. Wednesday, Sept. 16, 9 a.m. – 4 p.m. MDT, Spearfish – The South Dakota Department of Labor and Regulation will host Job Search Assistance Programs (JSAP). JSAP is a workshop for people recovering from job loss or enhancing their job search skills. Trained instructors speak on modern-day techniques used to successfully find employment. Topics covered are: resume and cover letter writing, interviewing etiquette, networking effectively, using social media and much more. JSAP will be offered at 1300 North Ave. For more information, call 605-642-6900 or visit www.sdjobs.org. Wednesday, Sept. 16 – Benefits specialists from the Department of Social Services' Division of Economic Assistance will be available at the following itinerant office locations. For more information, contact Tia Kafka, 605-773-3165. Thursday, Sept. 17 – Benefits specialists from the Department of Social Services' Division of Economic Assistance will be available at the following itinerant office locations. For more information, contact Tia Kafka, 605-773-3165.